Fees associated with filing industrial design applications in Poland, as well as other design fees, are available in the fee calculator. The term for filing an industrial design application claiming priority in Poland is six months from the date of priority. - illustration of the industrial design. Multiple design applications are not possible in Poland. The total term of the industrial design patent validity in Poland is 25 years, paying the renewal fee every five years. The industrial design application in Poland does not undergo the substantive examination. Official legalisation is not required. The POA may be submitted within two months from filing industrial design application. If the applicant is a legal person it is necessary to provide the Polish Patent Office with the excerpt from the Commercial Registry certifying the person signing the POA is duly authorised to act individually on behalf of the company. The priority document must be provided within three months from filing a design application in Poland. If the priority document is not in English, French, German or Russian, a certified translation thereof into Polish must accompany the document. The novelty grace period is applicable if the disclosure of an industrial design is made by the author or his legal successor before 12 months from filing the design application in Poland. If no objections are found, a decision on the granting of registration will be made, and the applicant will be invited to pay within three months the fee for the first protection period of five years from grant and the publication fee; if the fees are not timely paid the decision on the grant will be revoked. After registration particulars thereof are published in the Patent Office Journal. 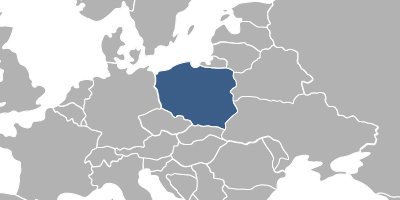 Foreigners residing outside Poland must perform the industrial design prosecution through an agent, a registered in Poland patent attorney. Any new and individual character appearance of the whole or a part of a product resulting from the features of, in particular, the lines, colours, shape, texture or materials of the product and its ornamentation may be registered as an industrial design in Poland. - which must necessarily be reproduced in their exact form and dimensions to permit the product to be mechanically connected to, or to interact with, another product. 1. Online Search databases: Polish Industrial Designs, Community Designs (EUIPO), International Designs. 2. The industrial design protection in Poland may also be obtained via registration of a Community Design. Please contact us if the above information contains any discrepancies with Polish IP Laws.